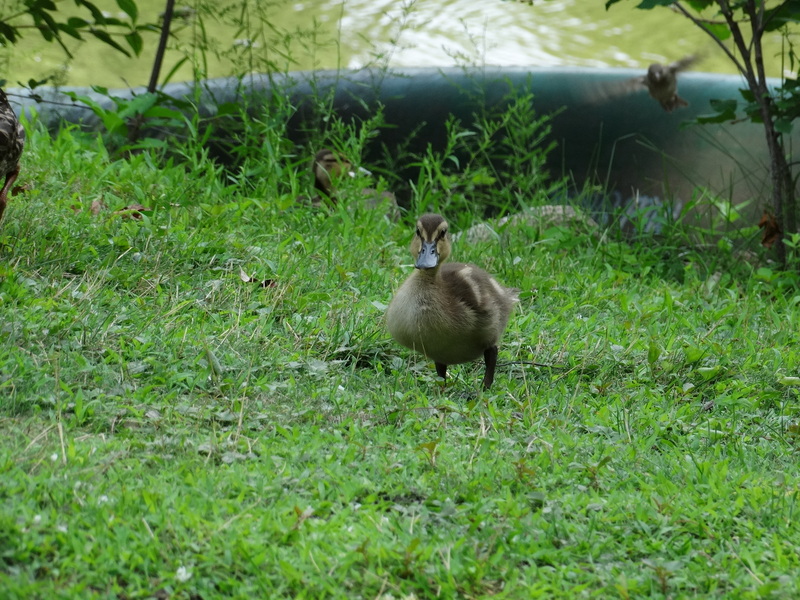 ← Six little ducklings, happy to be alive! The dog days are here again! It’s been almost a year since I first wrote about the dog days of summer on the Concord River. I still haven’t seen any wild Romans and the water isn’t boiling but there’s plenty of activity none the less. 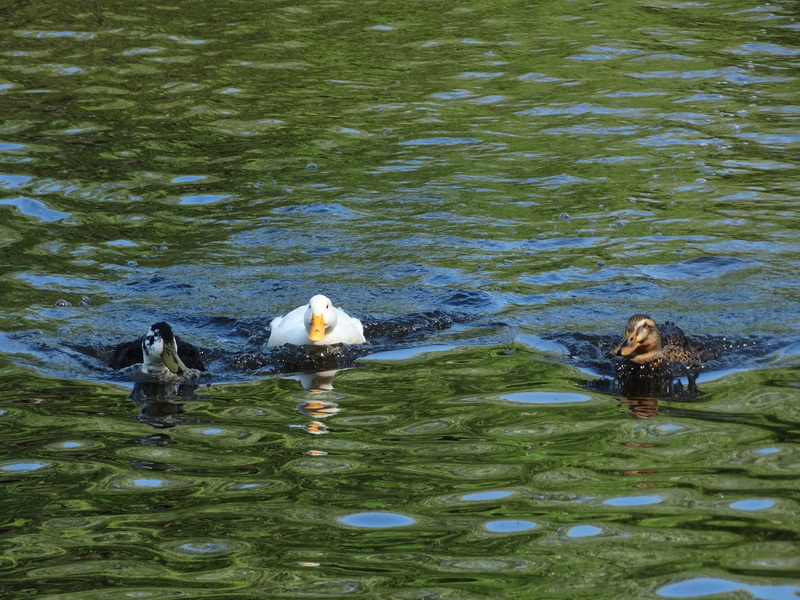 Angie visits daily with her brood. Arriving on the beach, the ducklings leave her side and run up the sand to where I’m sitting on the stairs. Still shy, they stay about three feet away from my feet, waiting for their handouts. 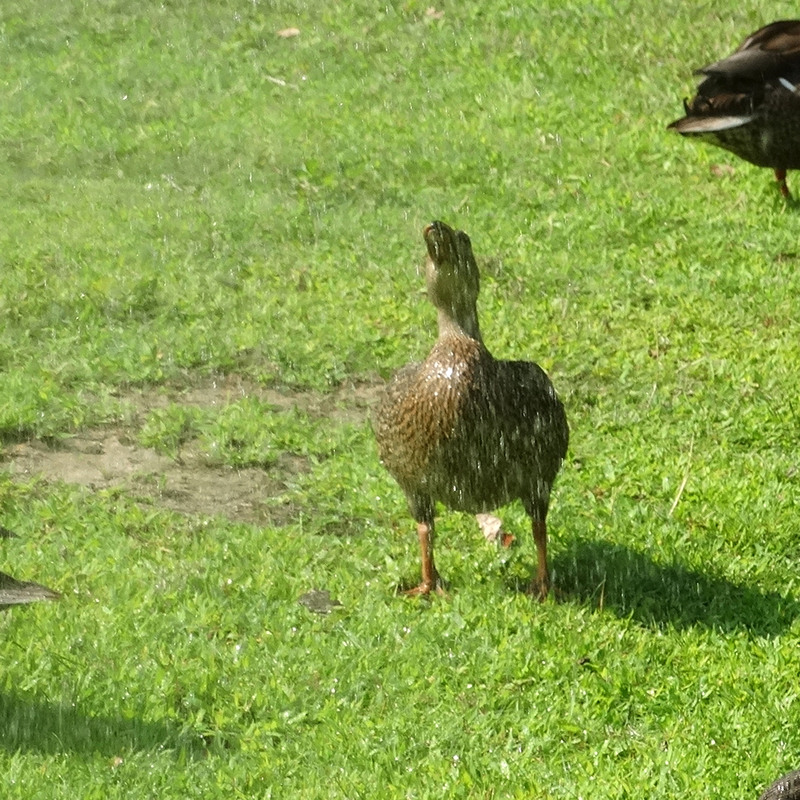 When I water the gardens in the morning, several of the ducks will come onto the lawn for a quick shower and drink. It must be nice having something clean to drink instead of the water from the Concord River. Having a drink of clean water. 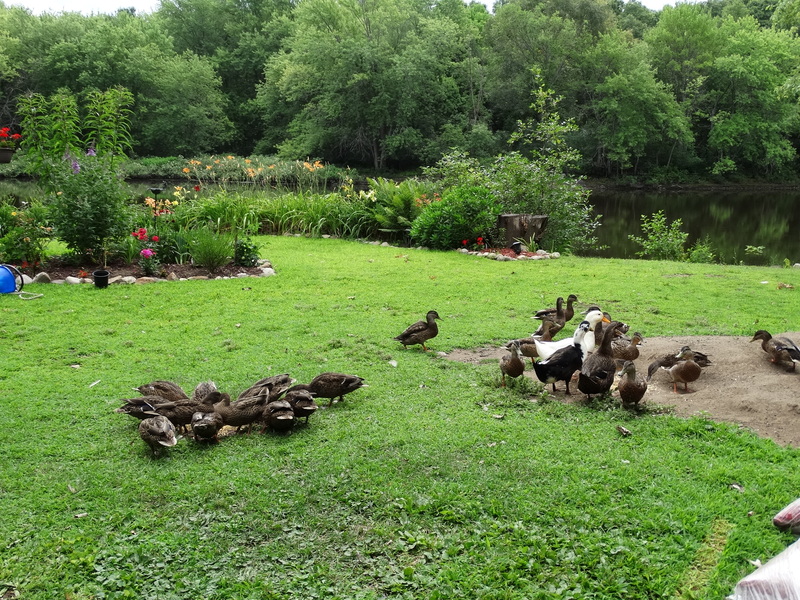 At present I have approximately three dozen ducks wanting daily handouts, along with my neighbor’s three ducks from Agway. They live two houses down river but they’ve adopted me as their aunt. Loud, pushy, and full of antics, they provide a never ending source of entertainment during mealtime. Here come the three stooges. Breakfast on the Concord River. Some clean edging thanks to my new orbital jigsaw. And I still have all my fingers! The weather has kept me out of the gardens. It must be my age but I’m having a hard time dealing with the muggy, hot, muggy, sweltering, muggy weather. Did I mention it’s been muggy? Yup, definitely doggy days. Like his mom, Sparky doesn’t like the mugginess either. At 14, all he does is sleep, bark, eat, and sleep. Last week a rabbit ran right by his feet and he didn’t even move! I get it. It’s too muggy to be chasing after rabbits. Sparky, just being a dog. Since it’s been so hot (did I mention muggy too?) 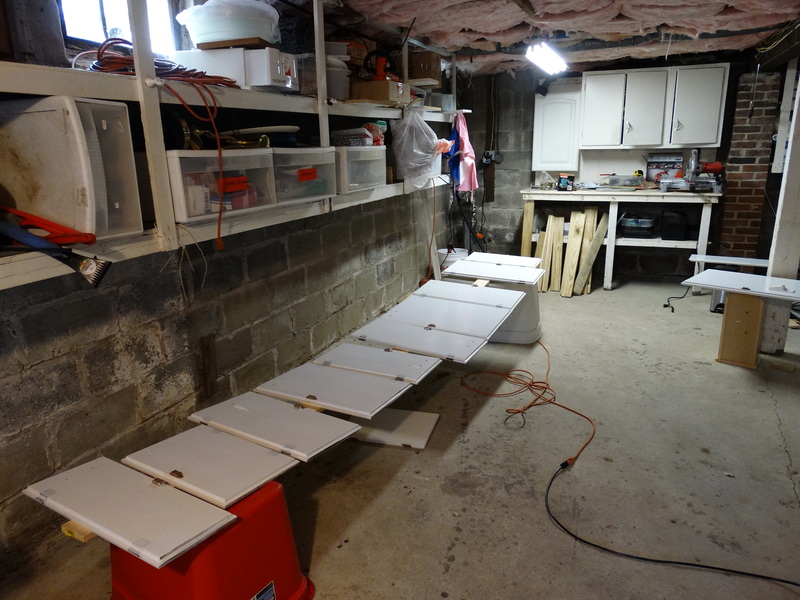 I’ve been busy in the basement sanding and painting the kitchen cabinet doors. It’s cooler down there than outside and I can sing at the top of my lungs to Lady Gaga without annoying the people on my street. And, now for the “Hey, I won!” corner of the blog. 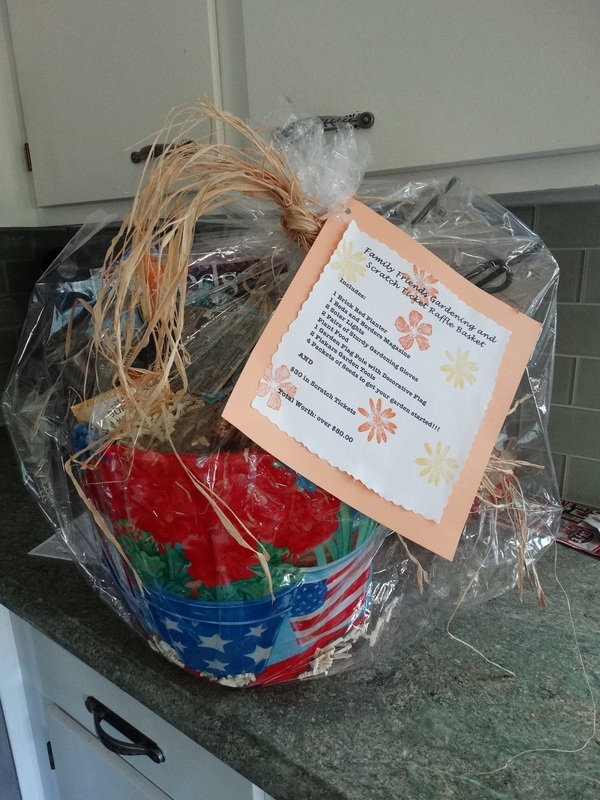 (drumroll please) The Billerica Library held a raffle and I won! The gift basket had a gardening theme with $30 in scratch tickets as well. I won a great big red pot, gardening gloves, gardening tools and seeds, plant food, lots of garden decorations and a copy of Better Homes and Gardens Beds and Borders magazine. Thank you so much Billerica Library. Oh yes, I won $15 on the scratch tickets and treated Chris and myself to Chinese food. Yum. Gallery | This entry was posted in Life on the Concord River and tagged billerica library raffle, blog about animals, blog about birds, blog about ducks, blog about life, blog about living on a river, blog about lots of things, blog about owning a home, concord river, Concord River Lady, dog days of summer explained, ducklings on the Concord River, great blog about living on a river, great blog about owning a home, home improvment projects, life on the concord river, living on a river, owning a home in Billerica, owning a home on a river, painting kitchen cabinets, please explain the dog days of summer, repairing deck stairs, River Lady, riverlady, single woman living on a river, stories about living on the Concord River, what are the dog days of summer. Bookmark the permalink. 1 Response to The dog days are here again!